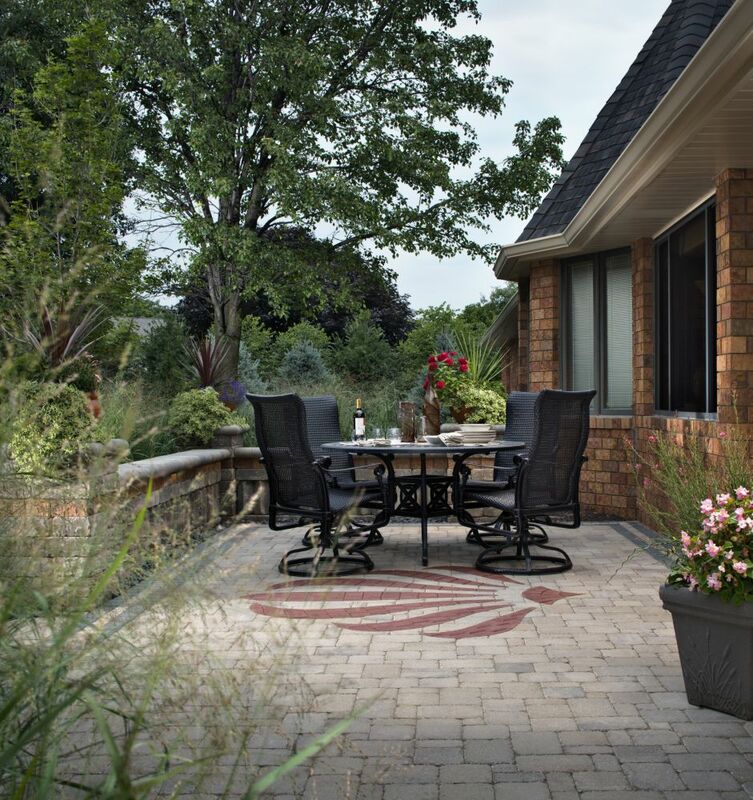 There are plenty of backyard improvement projects you can undertake to create or upgrade your outdoor living areas. We often post about affordable, easy, elegant, time-saving or upscale ways you can improve your landscaping and outdoor entertaining areas, but most of the project ideas we post require at least a day or two to complete, since there are not many significant improvements you can make that require less time than that. This post specifically focuses on same-day fixes you can do when there is not enough time to stain a deck, paint your patio furniture, get rid of the brown spots in your lawn or install a pond. You might be able to build a deck in a day, but these pre-party backyard fixes are for those situations when you do not even have time for that. These tips are for those times when an old college buddy is unexpectedly in town for a business meeting or when your in-laws call to let you know that they packed up the RV, are on the road and will be arriving at your house in about four hours for an extended, surprise visit. Of course, there are also impromptu dinner parties when you run into old friends, almost-forgotten birthday bashes that you promised to host, your partner’s boss inviting himself over for a barbecue and an array of other unexpected occasions that may call for some quick thinking in terms of sprucing up your backyard. After all, while some garden parties might be preceded by print invitations and RSVP cards, other backyard events occur with much less notice, and sometimes it is those get-togethers that are thrown together at the last minute that end up being the most memorable, enjoyable parties of the year. Nevertheless, impromptu parties do not give you much time to prepare, particularly if your backyard is not exactly in the best shape for entertaining guests. Ideally, your outdoor living areas would always be guest ready and looking their best, but busy schedules and other priorities can leave even low-maintenance landscaping looking a bit lackluster. While you will not have time to complete this entire list of pre-party improvements if you have guests arriving in a few hours, you can pick the ones that will be most helpful in your particular situation and get your yard looking as pretty as possible before they arrive. First, let’s start off with four must-do tasks that have to be completed before any other quick fixes, if they apply to you. 1. Clean up after your dogs, rabbits, cats or whichever other furry critters you have running around in your yard. It will not matter how pretty your outdoor dining room is if it is surrounded by little brown landmines in which your guests could step. 2. Put away any children’s toys. Your guests are much less likely to notice a new water feature or your just-finished outdoor kitchen if they are tripping over tricycles and plastic dump trucks. 3. Pick up the trash. Again, if your guests are busy prying sticky popsicle sticks off of your patio cushions so they can sit down, they probably are not going to notice your gorgeous outdoor fireplace or new garden wall. Since Southern California seems to be in a perpetual state of drought, we cannot really go around washing down our patios, walkways and driveways with a hose on a regular basis. Your next best option is to sweep. It might take a little longer, but you really must remove the dirt and debris before you can move forward with quick improvement projects to enhance your outdoor living spaces before your guests arrive. Once these four must-do chores are complete, you can concentrate on mini improvement projects you can use to quickly transform your yard into a party-ready paradise. Depending on how much time you have before your guests arrive, you should be able to complete at least a few of these quick fixes to enhance the visual appeal of your yard. Since you will not have time to complete them all – and might not be interested in doing some of them in the first place – pick the ones that work best for your budget and style, as well as the amount of time you can spare to focus on your yard during your party prep. 1. 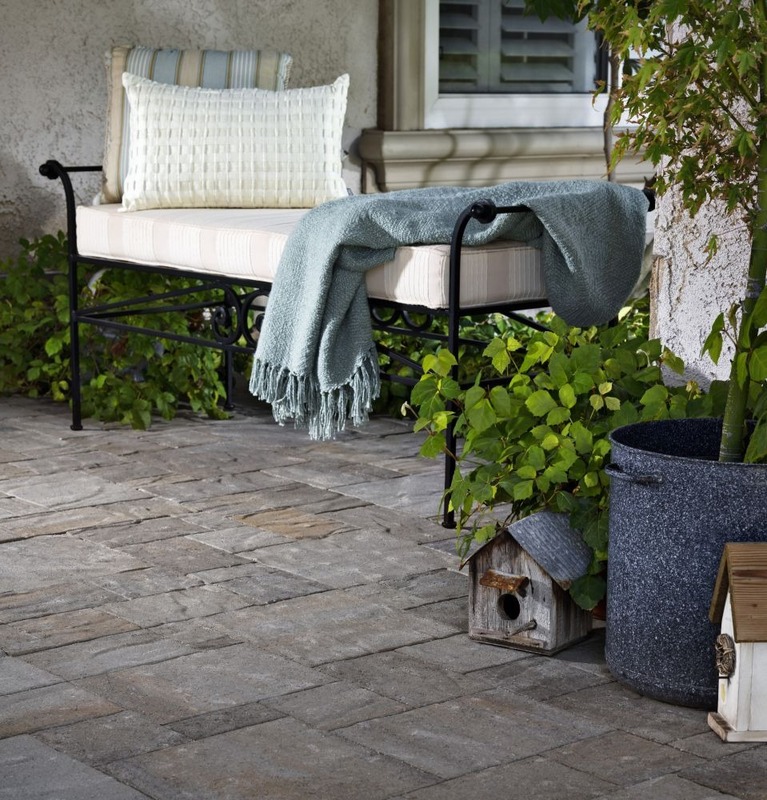 Buy an outdoor rug to cover a boring concrete patio or a deck that needs staining. You can find an outdoor rug at your favorite home improvement store, big box stores, discount retailers and, sometimes, even at drugstores. So if you have a boring or damaged patio or deck, cover it up quickly with an outdoor rug that will also bring color and texture to your entertaining space. 2. Hide an ugly fence or wall with reed fencing, bamboo fencing or lattice. There is no time for major repairs at this point, so sometimes your best bet is simply hiding the problem until you have time to deal with it in a more permanent manner. Rolls of reed or bamboo fencing are available at large home improvement stores and some garden centers. You can quickly attach reed fencing to an existing fence with a good staple gun, and bamboo fencing can be quickly installed using zip ties or nails. If you decide to keep the lattice, bamboo or reed fencing, you can always attach them more permanently when you have more time. 3. Hide everything in an out-of-the-way corner or your side yard. Move your garbage cans, yard maintenance tools, everyday clutter and anything else out of sight in a side yard or corner of your yard. You might want to go ahead and block that entire area with some of your reed fencing or lattice to hide it even better. 4. Deadhead your annuals, roses and other perennials. The purpose of deadheading, in general, is to improve both the look and performance of your flowering plants. For these purposes, you are only concerned about quickly improving the appearance of your plants by removing the dead flowers, but you will likely be rewarded for this at a later date when your plants have re-bloomed in time for your next party. 5. Buy a new barbecue grill. This may not be a cheap fix, but it is a quick one. And there is nothing like a shiny, new grill to immediately draw your guests’ attention away from any less-appealing parts of your yard. If you plan on using the grill the same day you purchase it, do not forget to also buy whatever you need to use it, like charcoal, propane or grilling utensils. If you have a natural grass lawn, you probably already know that edging can make a significant difference in your lawn’s appearance, particularly considering just how scraggly natural grass can get. Edging, particularly with a power edger, will not take much time, but it will make a big difference in how clean and landscaped your yard looks. 7. Pull the big weeds and hide the small ones. You will have to pull the big weeds to get them out of sight, but you can cover up the little ones by adding more ground cover material to the area. For example, if you have some extra pea gravel on hand, you can add it to your gravel walkways to hide small weeds that are just starting to peek through. If you have areas of bare dirt with small weeds, you can cover them with mulch, bark or wood chips. 8. Buy wood chips, and use them everywhere. Any homeowner who needs to quickly spruce up their yard needs wood chips – lots and lots of wood chips. Wood chips – or mulch or bark – are the perfect quick fix for yards that have lost their luster or have unfinished landscaping. This is one of the quickest, most affordable and easiest ways to bring texture and color to your yard while covering up bare patches of dirt, fixing up your flower beds, covering small holes and refreshing the overall look of your yard. Even if your yard is primarily dirt or a patchy, natural grass lawn, you can instantly transform it and significantly enhance its visual appeal by simply throwing some wood chips over it. 9. Strategically place pre-planted containers and hanging planters. Hanging planters and containers filled with flowers that are already blooming can be purchased at garden centers, home improvement stores and some big box stores for as little as $20.00. This is a super-quick way to add some color to your entertaining areas and make it look like you have a green thumb, even if it is just for one night. If you need even more color, or need to quickly replace dead plants in your borders, containers or flower beds, buy potted plants. You can leave them in the pots and place them in containers or holes in the ground, and then cover the pots with dirt, mulch or wood chips. If you do not have time to dig holes, you can also just place small potted plants on the ground and surround them with wood chips deep enough to cover the pots. 11. Buy new patio furniture. Like buying a new barbecue grill, purchasing new patio furniture is not a cheap fix, but it is a fast one. If you are not too picky, you should have no problem finding a new patio set that you can bring home and set up the same day. When there is no time to paint, stain or repair your current furniture, this is a quick way to instantly increase the visual appeal of your patio. 12. Pull your outdoor room together with throw pillows, a rug or a new centerpiece. 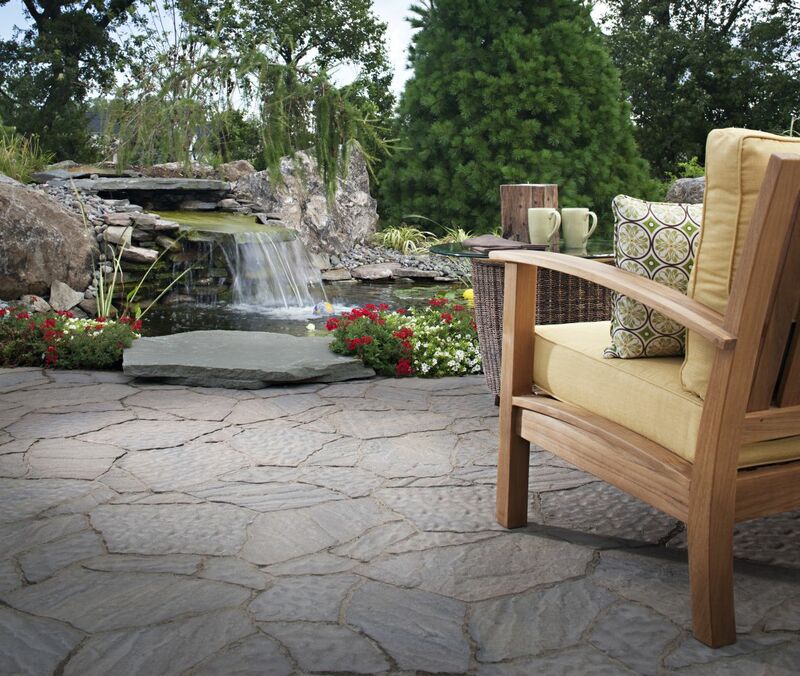 If you are not quite ready for new patio furniture, or your current set is still in good condition, you can improve the look of your outdoor rooms with new throw pillows, a new outdoor rug or a new centerpiece. You should have no trouble finding some new patio décor items at home improvement stores, department stores or discount retailers, such as Ross Dress for Less and TJ Maxx. 13. Set the mood with instant lighting options. String lights, tiki torches, solar landscape lights and candles can all be purchased, installed and enjoyed the same day. If you set up your solar lights in the morning, you can use them to guide guests, accentuate landscaping features or create the mood that evening. Citronella candles are another quick lighting option that also provide all-natural pest control. 14. Add a portable fire pit. If you do not currently have a fire feature in your backyard, you can add one in less than an hour and for less than $100.00. Your best bet for quickly finding a portable fire pit is a home improvement store with a garden section – like Home Depot or Lowe’s – but you can even find fire pits at Walmart, if you have one near your house. 15. 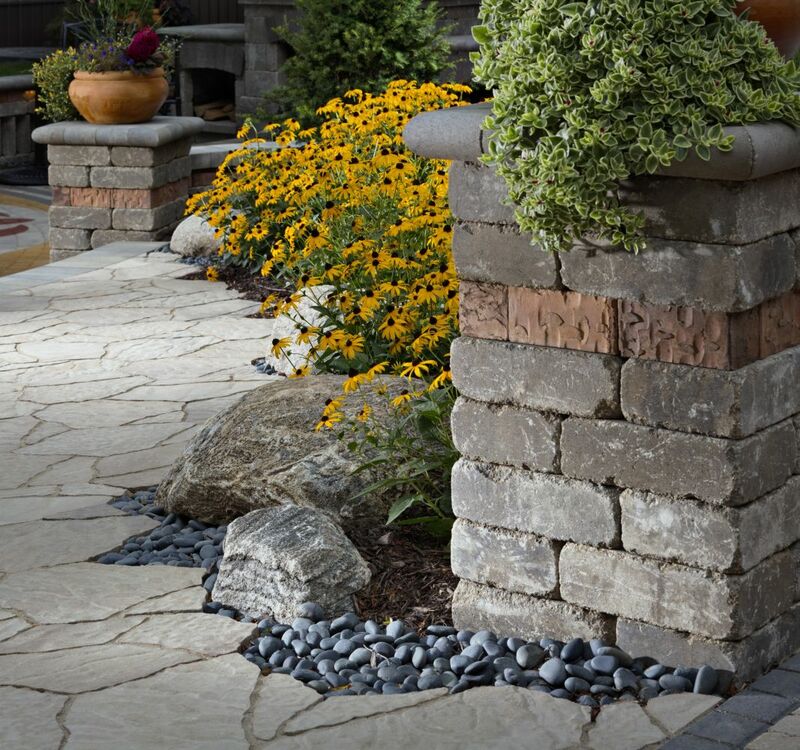 Create or refresh walkways with new stepping stones. If you live close to town, it should take you less than an hour to head to your local garden store, grab some stepping stones and return to your house. 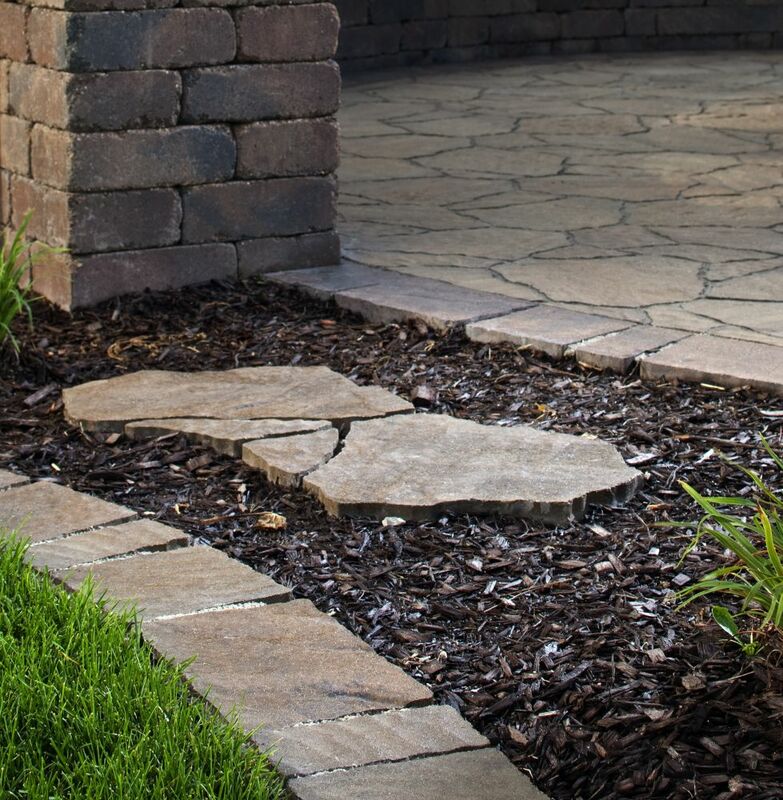 Spend another hour or two placing the stepping stones to create or refresh walkways that will guide your guests to entertaining areas and help keep them away from areas you did not have time to clean up. 16. Add a water feature in less than an hour. Some water features require hours or days to complete, but you can purchase an electric, prefabricated fountain for your local garden center or home improvement store. Many of these ready-to-go fountains require minimal assembly and can be set up, plugged in and turned on in less than an hour. 17. Set up a mini sound system. You might not have time to install a complete outdoor sound system, but you do have time to set up a docking station for your smartphone or MP3 player – even if have to run out to buy one before the party. Good music, good food and good company can go a long way in helping your guests ignore areas of your yard you might not have had time to improve.